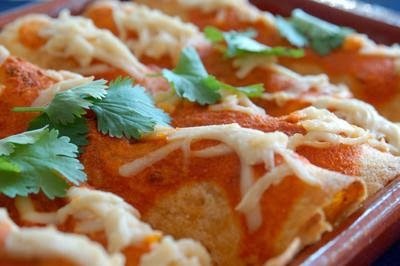 I recently discovered a terrific site, Recipe-To-Make.com, Recipes To Make Delicious Food. I love trying foods from different countries. There are unique flavor combinations to intrigue my taste buds and ingredients which I might not otherwise try out. I also believe that experiencing foods from around the world helps give us an appreciation for other cultures. So back to my recent discovery, Recipe-To-Make.com, Recipes To Make Delicious Food. This site is very simple in design. The main page lists thumbnails of delicious dishes from around the world. The countries are in alphabetical order which makes it easy to browse. The left sidebar shows how many recipes are featured for each country. I found recipes from Brazil, France, and Vietnam. If you'd rather just look at collections of recipes, like sandwiches or pies, you'll find those categories in the left sidebar as well. Quite a few of the recipes are vegetarian/vegan. All of them look fabulous! The kind owner of Recipe-To-Make.com, Recipes To Make Delicious Food has generously agreed to allow me to republish a recipe for you. I hope you enjoy it! Add water to enchilada sauce and stir until well combined. Using a food processor for quickest results, dice the carrots, zucchini, olives and onion. To this mixture add half the enchilada sauce and water mixture, diced tofu and black beans and combine well. Spoon 2-3 tablespoons of the vegetable, bean and tofu mix into each flour tortilla. Wrap and place in a baking pan. When the pan is full, spoon half of the leftover enchilada sauce on top of the wrapped flour tortillas - be sure to get all the edges! Sprinkle the top with cheese if desired. Bake 30-35 minutes at 350 degrees or until done, spooning the rest of the enchilada sauce on top when halfway done cooking. Sneak Peek: Want to change the world? Join us tomorrow for another thrilling challenge.